I'm working on most of the r&d projects happening at the company, with some focus on the UWP and enterprise side of things. 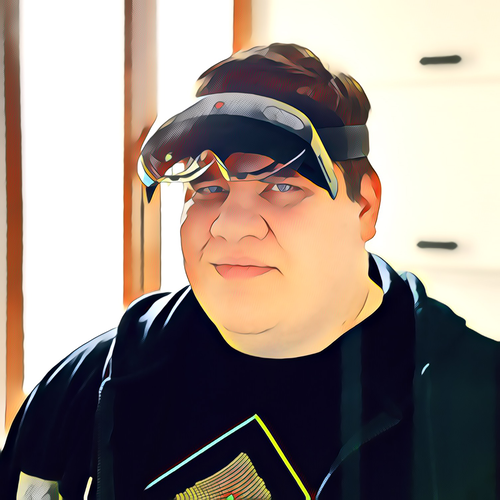 During my time at the company I became a specialist in several interesting fields: battling obscure formats, networking for mixed reality applications, and maybe most importantly shared spatial environments with ties to the physical world. 🔗 Visit the website of 360world. As the platform expert, my work was to oversee the production of our solution and to teach my colleagues the art of Windows development while I'm also acting as developer on the project too. In this major undertaking we encountered several challenging tasks, ranging from a complex data sync model with offline work support to advanced controls. This project was luckily developed with good UI / UX in mind, including scaling complicated interfaces from the phone to a screen the size of a TV. 🔗 Visit the website of Lufthansa Systems. 🔗 Visit the website of mCabin. 🔗 Download the mCabin demo app from the Microsoft Store. Architecture of a large Windows 8.1 CRM application. Programmatical layout building with support for dynamic module placement and VM reuse. Creation of a calendar control with week and day view and infinite scroll. (Included handling of any number of appointments of any length, group based event highlighting and other complex features.) The project also gave me plenty of experience with WinRT specific issues, handling memory leaks in a XAML based environment and creating custom interactive controls from scratch. Sole developer of a universal app client (Windows and Windows Phone) for APPaware. The APPaware app creation platform is a wysisyg app editor in a browser. It can create apps described in json, and the client apps on the 3 leading platforms render these as native apps. Sole developer of the FLEETware Windows Phone client. 🔗 Visit the website of ITware. QRHacker is a service that allows you to create snazzy, highly customized QR codes with ease. The you have the ability to draw pixel-by-pixel, set the roundness of the codes’ pixels, add background and foreground images and logos and the like, without things getting garish takes this way above the average QR code generator. 🔗 Visit the website of POSSIBLE. BudapestRiddle is a fun adventure in the heart of Hungary. It combines riddles and puzzles with GPS based treasure hunting, forcing its players to visit museums and other sights around the city. The first game was in August of 2012, and was organized in 2 weeks by a group of 3 people. From the ~50 players in 13 teams, 3 succeeded in finishing the game. I wrote over a 1000 articles and reviews during WPPortál's life, once even breaking the news of the WP8.0 leaks and gaining worldwide recognition. In total we've reached over 350 thousand unique visitors and gained almost 4 million pageviews. Advanced level (C-type) language exam, complete written and conversational fluency. Things are only mentioned once (usually in the category where I was first introduced to that particular technology). I'm motivated to learn more and more to solve the tasks I need to solve. 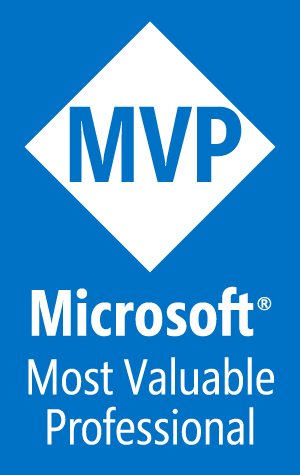 🔗 Visit my MVP profile at the Microsoft MVPs site. 🔗 Read more about the MVP award here.